Google released a pretty slick translation app for the iPhone today. 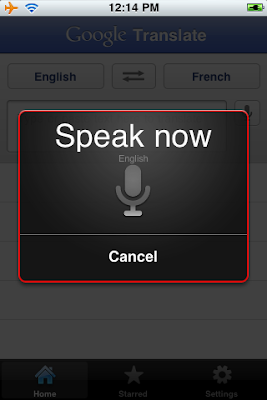 The Google Translate iPhone app allows voice input for 15 languages that can be translated into more than 50 languages. You can also listen to translations in one of 23 different languages.